It’s warm inside our Jeeps! No matter what the weather seems like on the outside (as I wrote this, Dec 29, 2015, it was 35 degrees with snow flurries), it’s warm on the inside! 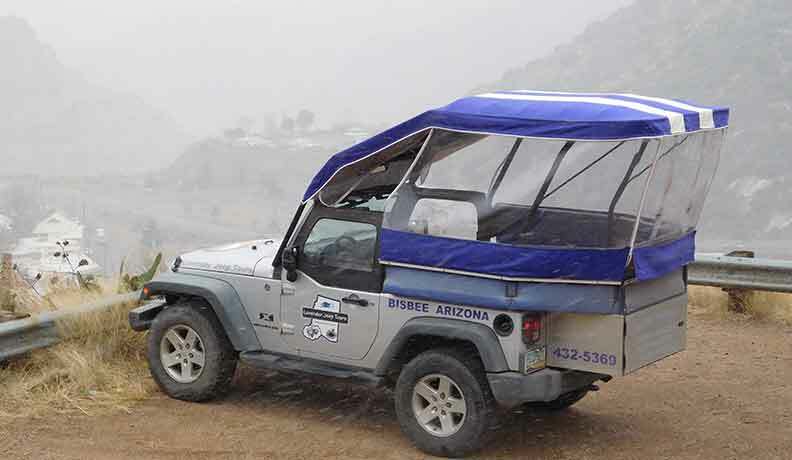 During the winter months, we wrap the open tour jeeps with a clear, thick plastic sheet, which keeps out the weather, but allows complete viewing of the great scenery of Bisbee. Doesn’t interfere with photography, either. Jeep is known for its great heaters, since the vehicles are driven everywhere in the world, in the worst of weather. So the big, open cabin is quickly heated up. 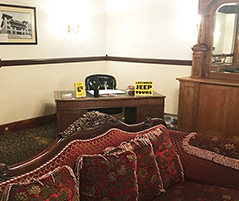 You will still want to dress warm, however, so you can pop out from time to time to get a better view of awesome Bisbee sites. 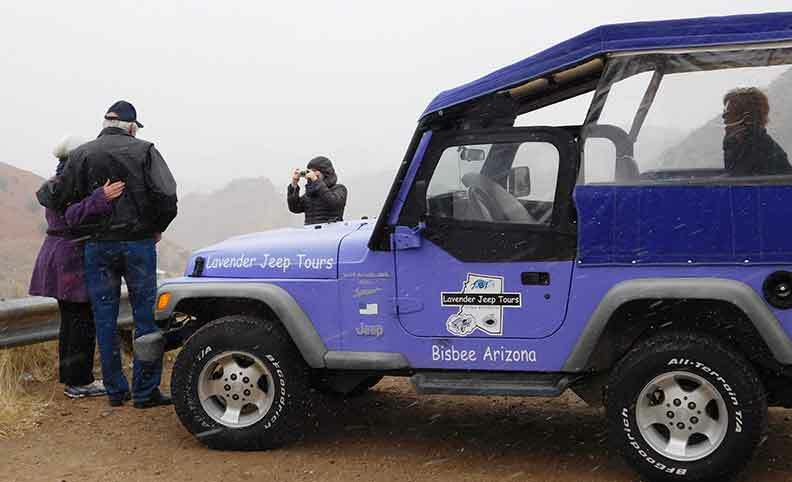 So don’t let inclement weather deter you from taking a Lavender Jeep Tour. The photo below shows the complete wrapping.